Here at Indy Stair Lifts, we carry only the best stair lifts on the market. 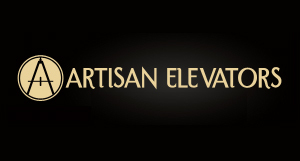 Our stair lifts provide comfort, efficiency, and luxury for our customers. Never feel restricted in your own home again when you have one of our stair lifts. Our stair lifts need very little maintenance, because they are well made and used advanced drive systems. Preventative maintenance, or stair lift repairs, is recommended only once a year. At Indy Stair Lifts, we strive to provide our customers with only the best stair lift products. This means that our stair lifts are not only made from the best materials but are built to last, with little repairs needed. Our stair lifts use top of the line drive systems and rechargeable batteries, allowing them to work at maximum potential all the time. Stair lift repairs on our products are almost never needed. The helical drive system that many of our stair lifts use is efficient and dependable. It is compact, uses less electricity than a 25 watt light bulb, produces up to twice as many trips per charge, and uses no greases or lubricants. Since the helical drive system uses little power and requires no lubricants, it is less likely to break down. 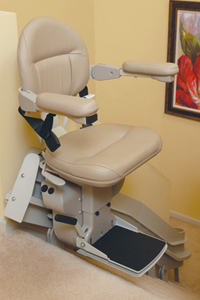 Some of our stair lifts use a direct drive motor that requires little maintenance. All it needs for power is a household outlet and two 12-volt batteries. They are also equipped with obstacle sensors that detect possible obstructions so you will never have to experience a stall or jam. The lift will stop before it gets to the obstacle, allowing you to remove whatever may be in the way. The rechargeable battery systems that our stair lifts use allow you to use the lifts even in a power outage. Whenever the lift is in the parked position the batteries will charge. A fully charged battery on one of our lifts will be able to perform up to 40 trips. Your stair lift from us will always be running at peak performance and will rarely need any kind of repairs.